An Appreciation of St. Vincent’s Guitar SkillsShe’s one of the best players we’ve got. The Tupac Biopic Dodged Lawsuits, Feuds, and a Wavering Estate. 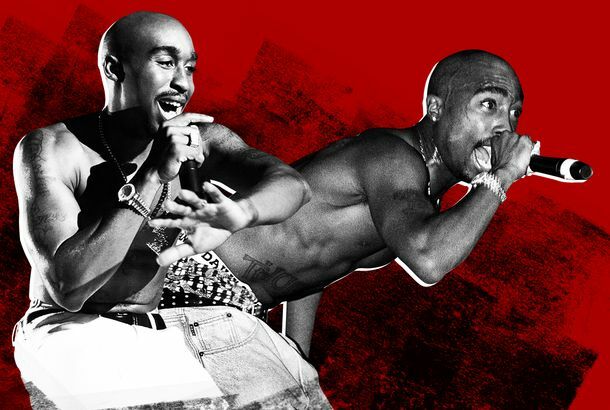 Was It Worth It?The long and complicated history of All Eyez on Me. The Knick’s Chris Sullivan on Ambulance Drivers and Rat StompingPlus, hints about season two. Everything Steven Soderbergh Has Done Since He ‘Retired’For example: The Knick. What Band Did Chris Pratt Dance to in Guardians?“Come and Get Your Love” — and come and get your info about Redbone. Director James Gunn on How He Chose the Music in Guardians of the GalaxyELO almost made it in. The History Behind 12 Great Weird Al VideosAs told by Weird Al himself. 22 Jump Street and a History of Insecure SequelsOr “meta sequels.” Call them what you will. I Want to Grow Old With You: 11 Great Moments From The Wedding SingerRemembering Sandler and Barrymore in better days. What Is a Kaiju? Atomic Breath, Huh? An A-Z Glossary of the Godzilla FranchiseIn today’s age of easily disposable pop-culture ephemera, Godzilla represents something rare: stability. What Does Heaven Look Like in the Movies?Filmmakers have been trying to crack the afterlife’s code for decades. The Greatest Hits of the Muppets’ Dr. Teeth and the Electric MayhemSome people grew up on the Beatles. Then there are those who learned about music through the Muppets’ house band. 4 Insane Jack Ryan Plots Not Yet Made Into FilmsA plot to assassinate the pope? Found-Footage Movies Are Getting Tired — Here Are 5 Ways to Keep the Genre FreshHow about casting some well-known actors? The Differences Between Spike Lee’s Oldboy and the Original OldboyLess octopus, for one. What Did Thor 2’s Post-Credits Scene Mean?The revealed character offers hints about Guardians of the Galaxy and Avengers 2.